Dr. Fluitt is dedicated to motivating and igniting people in their daily walk with Jesus Christ and equipping the people of God for the work of the ministry. 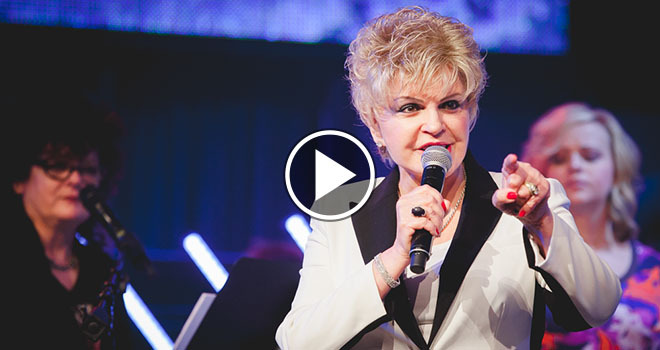 She communicates Biblical principles that promote spiritual growth and maturity. Multitudes have witnessed the spiritual gifts of I Corinthians 12 in operation as she ministers with signs, wonders and miracles manifesting the power of God. The Father’s heart is revealed through her teaching and preaching and as His presence ignites her, she has a supernatural gift to release that fire into the hearts of others. She has a contagious love for the Lord, and is gifted to encourage and edify believers to great exploits as they receive the impartation of their identity in Christ. She is an anointed singer with a rich and powerful voice that penetrates spiritual darkness and brings deliverance and revelation according to 2 Corinthians 10:4. She sings and enacts the spontaneous unrehearsed song of the Lord with a passion and transparency that exposes the audience to the reality that God is approachable and present. Dr. Clarice Fluitt has established churches and mentoring schools both nationally and internationally, is an accomplished musician and poet, and much sought-after motivational speaker. Her ministry has since evolved into a dynamic marketplace influence with a worldwide vision. Founded in 1984, Dr. Fluitt is Founder and President of Clarice Fluitt Ministries. Explore all of your possibilities for growth and development by visiting each page of this site in addition to following the links to Dr. Clarice’s Personal Transformational Life and Executive Coaching site. Let her use her gift to help you embrace transformational change on every level and pursue your unrealized potential from every dimension.